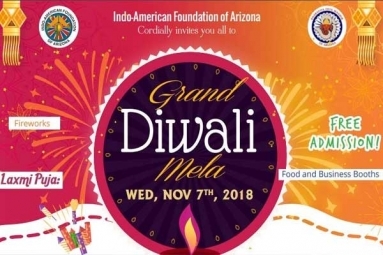 Come and Enjoy AZ's Biggest Cultural Diwali Mela !!! Coin & Dhanvantari Puja (Silver Coins of Lakshmi & Ganesh available for Purchase). Donation $31 (includes coin). Followed by Aarti & Prasad. 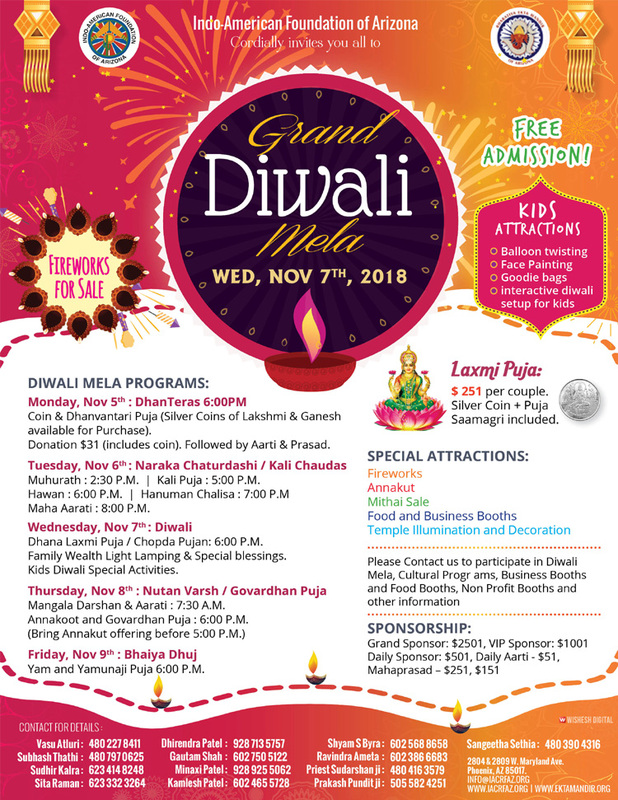 Muhurath : 2:30 P.M. | KaliPuja : 5:00 P.M.
Hawan : 6:00 P.M. | Maha Aarati : 8:00 P.M.
Dhana Laxmi Puja / Chopda Pujan: 6:00 P.M.
Mangala Darshan & Aarati : 7:30 A.M.
Annakoot and Govardhan Puja : 6:00 P.M.